Don't even think about comparing it to your blender. 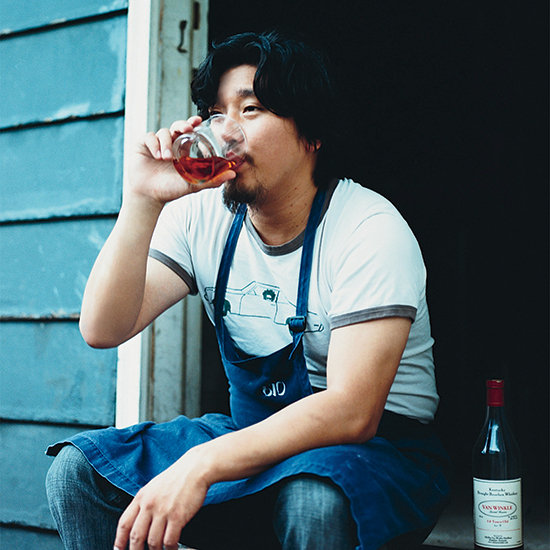 Ed Lee is a minimalist—at least when it comes to kitchen tools. The chef and owner of 610 Magnolia says there's one underrated item he uses for almost everything. But, of course, it's important to note that “like, no gadgets” is a very different statement than “no gadgets" whatsoever. So, we decided to ask our favorite nacho connossieur to dish on which ktichen tools he does have, and which he treasures (and uses!) the most. As if that's not enough of an endorsement for the small grating tool, Lee also mentioned that when he teaches cooking classes every once in a while at his restaurant, he often tells patrons is to throw out all their kitchen gadgets before advising them to buy a—you guessed it!—microplane. He has even been known to demonstrate all the different ways they can use it. “Seriously, I can’t live without a microplane. I use it everytime I cook,” he raved. “And it’s so useful for everything. I press garlic through it. I purée onions." We’ll take your word for it, Ed. Grab your very own ‘planes here to try out Chef Lee's techniques for yourself.